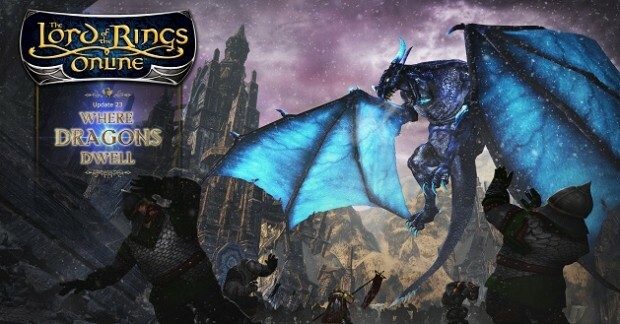 The Lord of the Rings Online has at its disposal the vast landscapes of Middle-earth for players to explore, full of breathtaking views and dangerous creatures. You can get that all that for free in the latest update for the game, but if you want structured content … well, that’ll cost you. Where Dragons Dwell is the name of the newest LotRO update, and it lets all players explore the dwarf-rich areas of the Iron Hills, Grey Mountains, and Erebor. You can also try out the new instrument, the bassoon, and get a Dwarven Helm cosmetic item by using the code “STARTMINING” in the LotRO store. There are also two new chapters in the Black Book of Mordor, new hobbit avatars, and the level cap has been raised to 120.